The Wood-Cheneau Rigo is a thermoplastic TLSO which provides correction in all three anatomical planes. 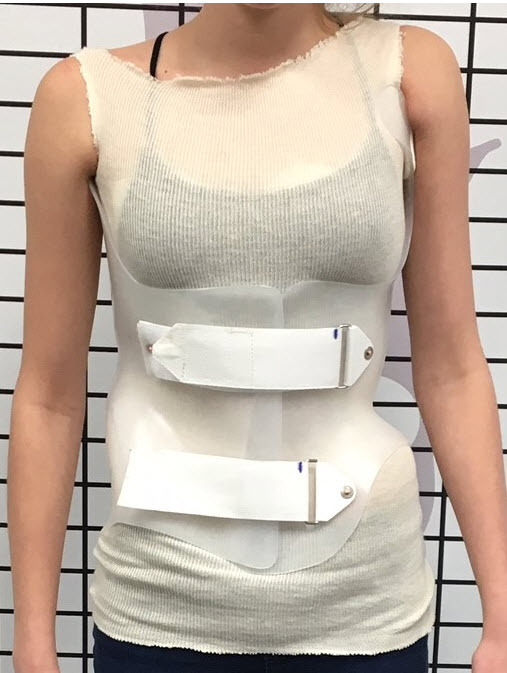 The WCR orthosis is fabricated over a hyper-corrected model and is aimed at addressing rotation and sagittal plane normalization resulting in coronal correction as well as elongation of the spine. 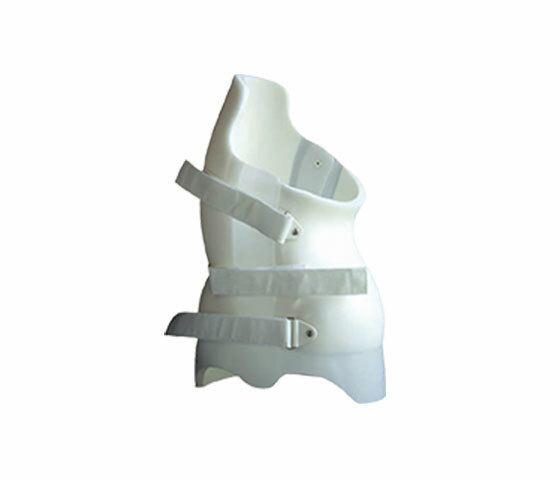 This is the most commonly used type of “daytime” Thoracic Lumbar Sacral Orthosis (TLSO) brace. It’s generally prescribed for 23 hours per day, but some doctors prescribe it for less. 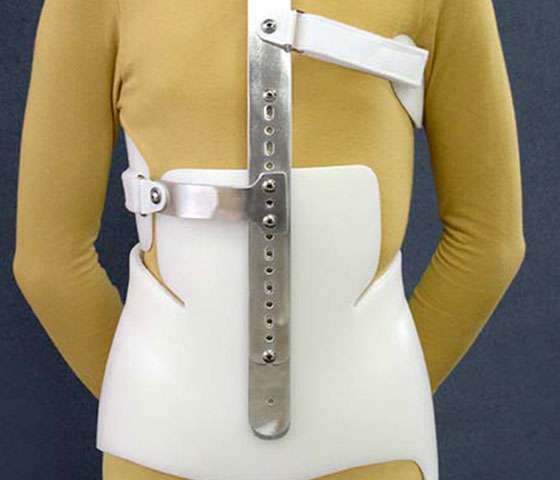 This is the most common type of “nighttime” Thoracic Lumbar Sacral Orthosis (TLSO) brace and is worn just at night. This can only be used for certain types of curves and provides more significant counter forces to straighten the spine. The most common type of Cervical Thoracic Lumbar Sacral Orthosis (CTLSO), the Milwaukee Brace is worn by pediatric patients who have curvatures higher up their spine.